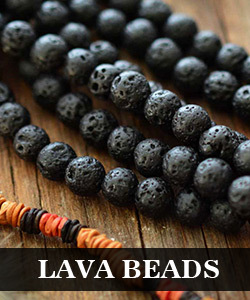 Summary: The crystal earrings have a special design on its beads pendant. 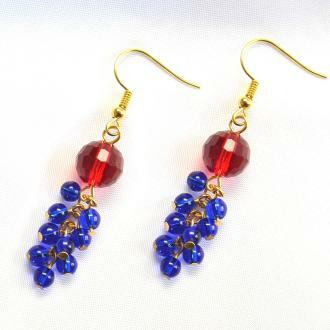 Blue beads make up the beautiful earring loop. Hope you will like our design. 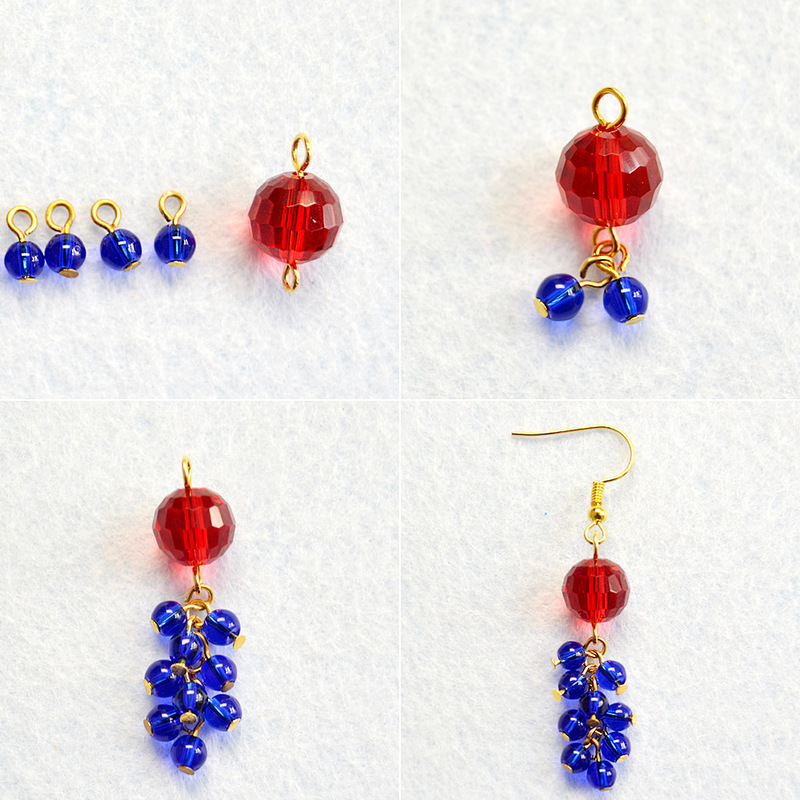 To make these colorful dangle earrings, you just need to prepare some blue round glass crystal beads, and other basic earring making supplies, then you can follow our tutorial to make them at home. 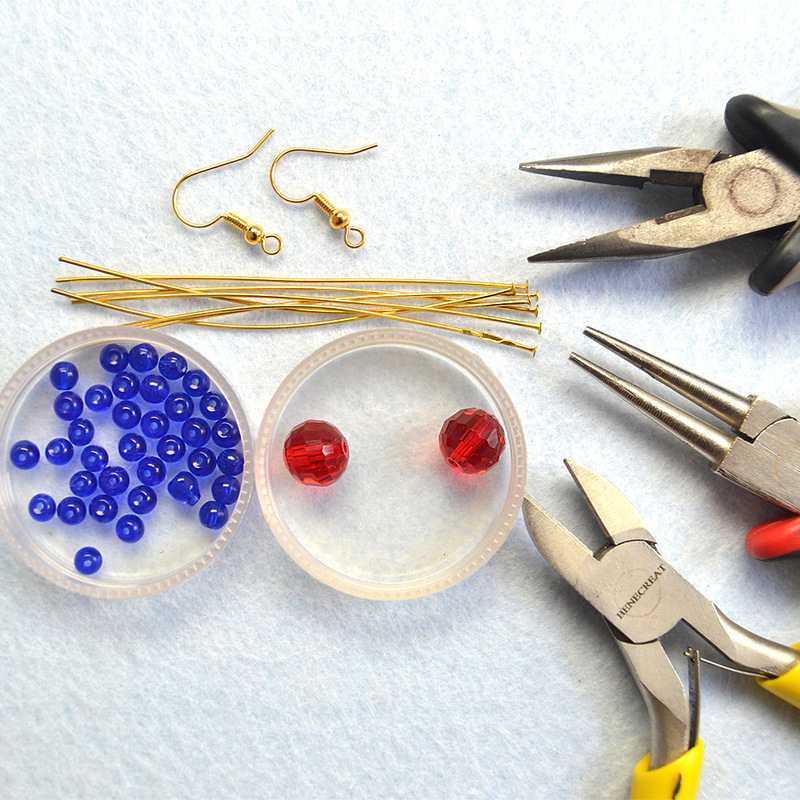 1st, thread each blue crystal beads with the head pins and red beads with eye pins. 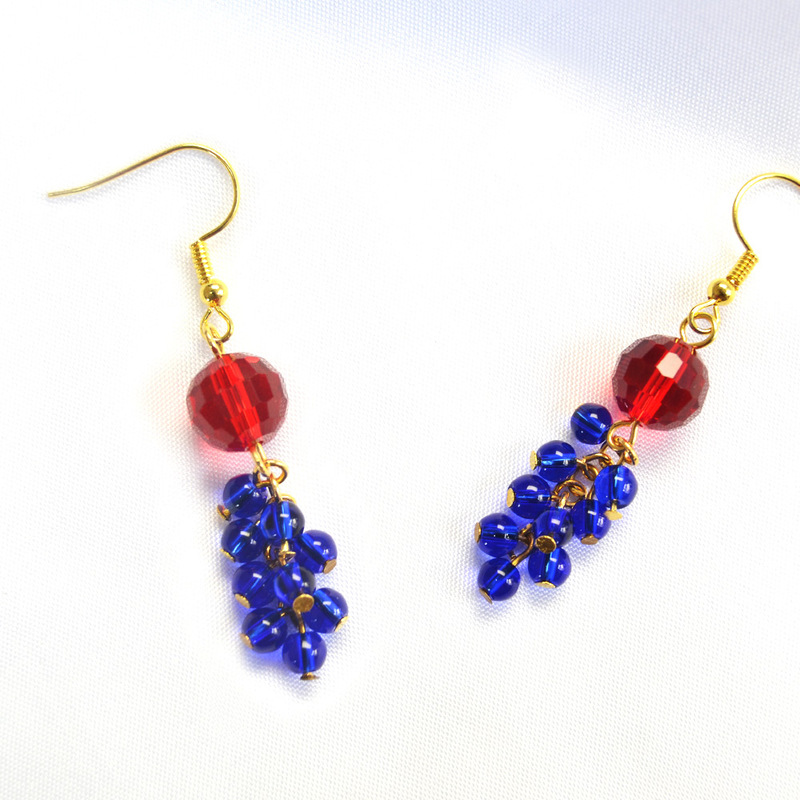 2nd, put the blue beads on the red bead one by one. 3rd, add the earring hook. 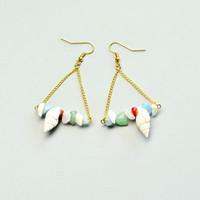 And make another earring in the same way. Do you like these crystal pendant earrings? I think it will be very beautiful in the summer. The color is bright, and beads is shinny.